Since today is Friday , and it is a wonderful thing to think of the weekend ahead.. I don’t know about you but I normally use these days to rest and I usually place my cheat meals or somehow less basic meals on these two days. It’s a way to enjoy them with my friends and family and makes it all more enjoyable. When you are trying to lose weight of reach a certain fitness goal however, the amount of “celebration” in this Celebratory meals is normally a bit more constrained, but this doesn’t mean that you do not deserve a bit of happiness. 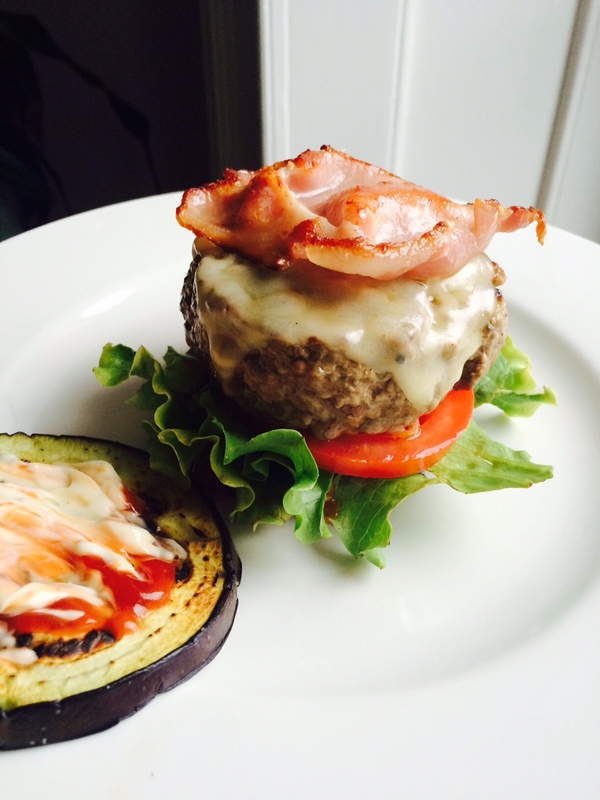 Since for me, the low carb diet is the one that generally provides the best results, I would like to share with you this recipe of a low carb bacon cheese burger, which is also quite moderate in fat content. Of course, this recipe is not rocket science but hey, I thought it was worth sharing the idea! Pan fry the aubergine slices (don’t make them too thin or they will break) in the same pan and set aside, one minute on each side is enough. Season the meat with salt, pepper and any spices that you like (I add garlic and onion powders normally) fry the burger pattie in a non-sticky pan without any added oil until it is cooked to your liking. My recommendation is to leave it slightly pink on the inside for better taste. When you turn around the pattie to cook on the second side, put the cheese on top so it melts and in the meantime, just assemble the burger! 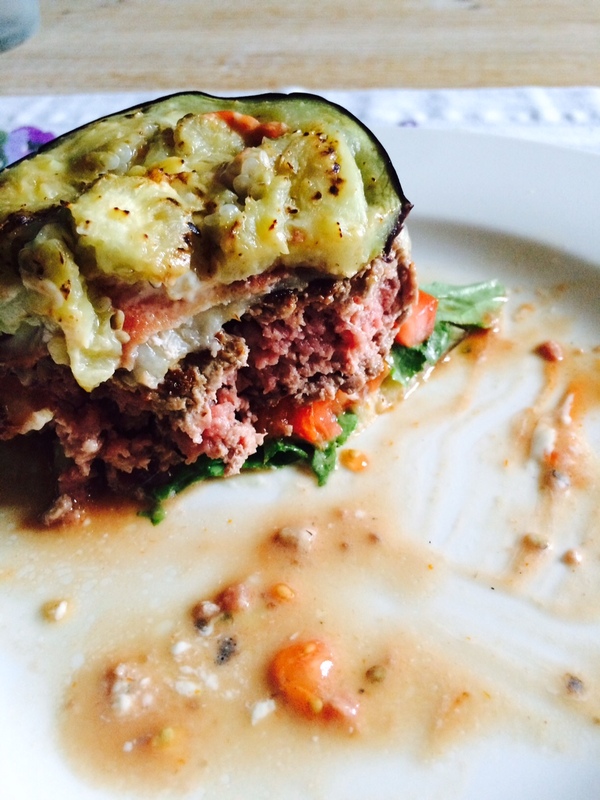 My preference is: Aubergine, mayonnaise & ketchup, tomato meat with cheese and bacon, then aubergine again. 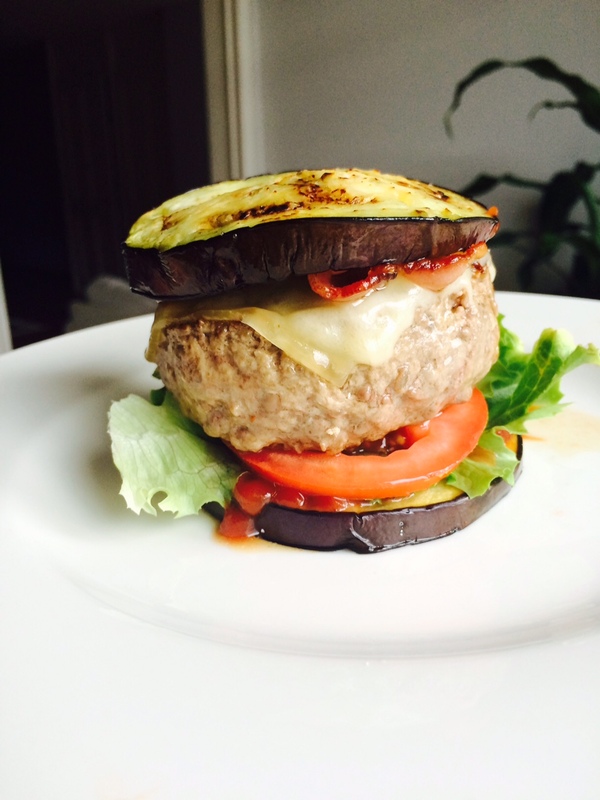 Instead of Aubergine, you can use Portobello mushrooms if you prefer, they make grabbing the burger easier, more like a bread bun than the Aubergine, but I couldn’t get hold of them this time so I tried this other version! 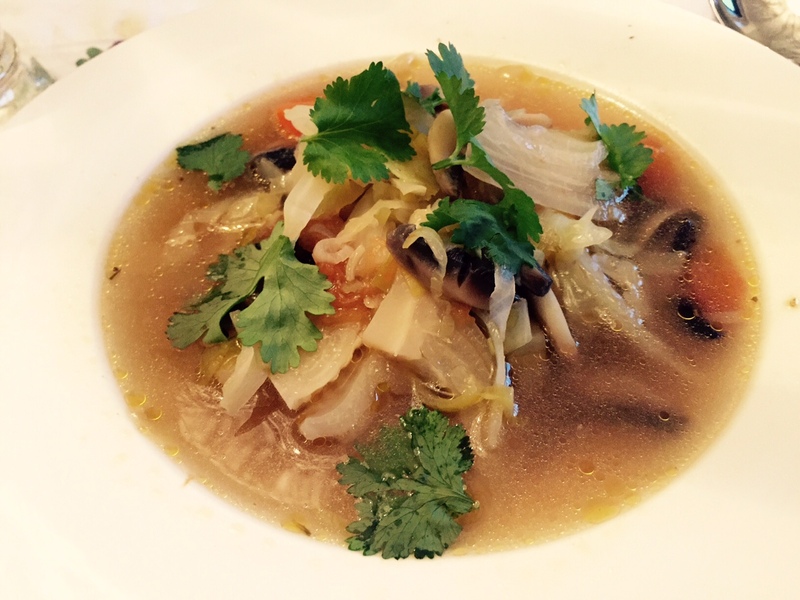 The original name of this soup is Julianne Soup due to the way in which the veggies are chopped (Julianne style) and it is honestly the simplest soup you can possibly make, very difficult to screw up and genuinely yummy. It has only super low calorie ingredients it is almost virtually fat free and the only ingredient that could be higher GI is the carrot (high GI when is cooked) which you can totally leave out and it will be just as nice. 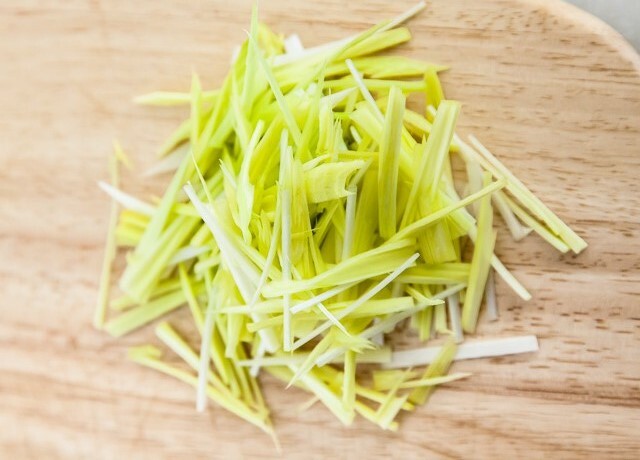 Chop all the ingredients in fine stripes (see picture) and clean and peel the mushrooms, discard the pods (you can use them in an omelette later on) and chop them too. In a good cooking pot (I use Le Creuset, but any good anti adherent one would do) and grease the base with an olive oil spray. Cook the onions alone for about 5 minutes in medium heat and then add the other vegetables except the mushrooms and the spinach. Add a pinch of salt and let them “sweat” to get rid of the water, stirring occasionally for another 5 minutes. Boil 1.5 liters of water in a kettle and add to the vegetables with the 2 cubes of stock. If you want a vegetarian/vegan option stay away from the beef flavor but it is entirely up to your personal preference. 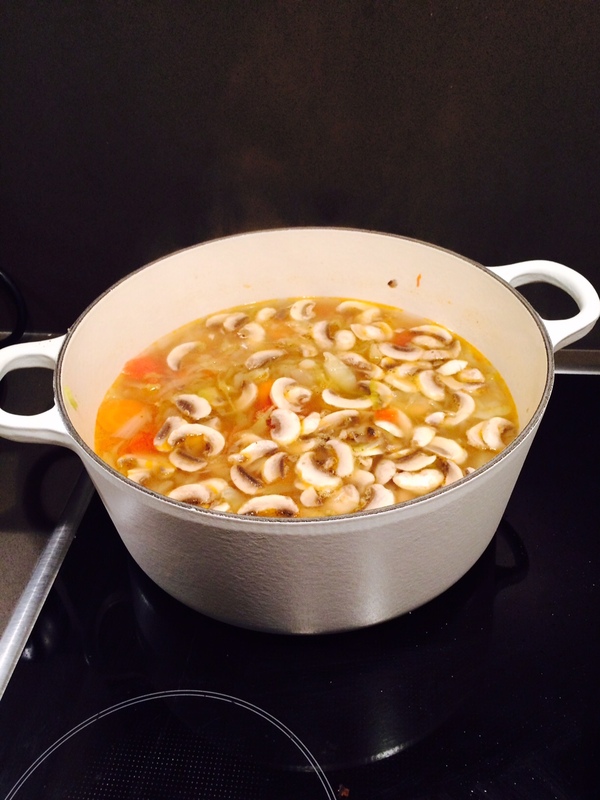 Let it boil on low heat for 45 minutes and season to taste with the spices and then the mushrooms. Turn off the heat and let it sit for another 5 to 10 minutes. This soup can be kept in the fridge for about 4 to 5 days and it is perfect to cook once and then just grab and reheat. Great for school nights and it comes at about 90 calories per portion, with a very filling result. WINNER! I don’t know about your homes, but at mine, some people like to eat pasta for dinner. I can’t blame them, it is delicious and if you get hungry to dinner time, it will make you feel full with no doubt. For me though pasta for dinner is too heavy and it is not healthiest option before bed. As an alternative, a friend recommended me one of those special graters to cut vegetables in the shape of noodles. What a great idea! So this was my first go at it! 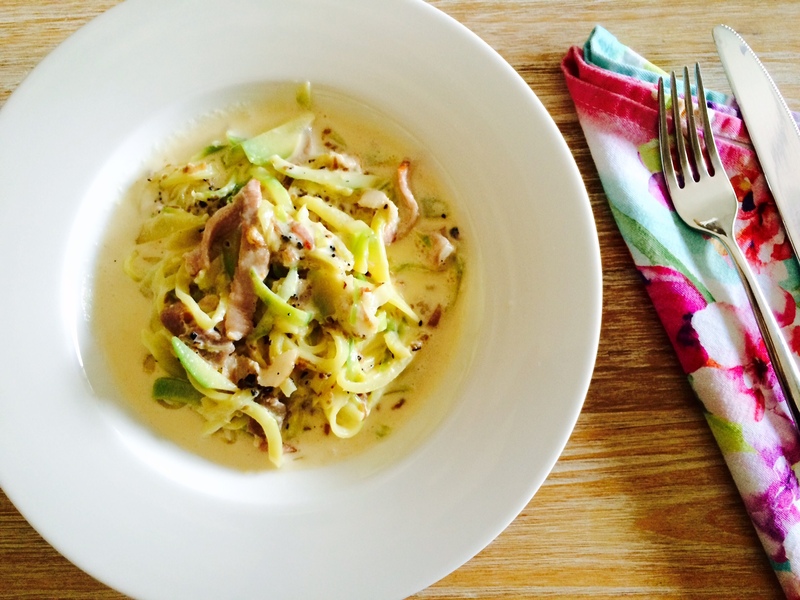 A healthier carbonara alternative to traditional pasta. 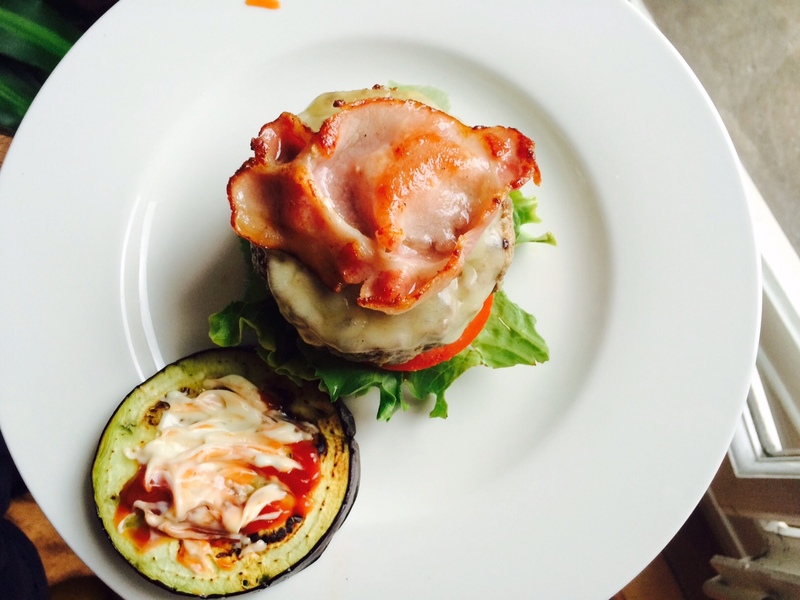 This was made with zucchini, low fat cream mixed with non-fat soya milk and English smoked bacon, trimmed of the excessive fat. Pan fry the bacon with no fat at all, when toasted, add the onion and when this goes transparent, add the cream and milk mixture. Let it simmer for 5 minutes so the sauce gets some consistency and the flavours mix. Add the zucchini and cook for 2 to 3 minutes, serve and sprinkle with the parmesan cheese. This dish is a bit high in fat, but since the content in carbohydrate is so low, it is not a bad options. Avoid having it on days when your other meals have been fat heavy. I have to come clear on this one, I didn’t actually cook this. I went out for a drink with a friend and my husband stayed home and took care of dinner. 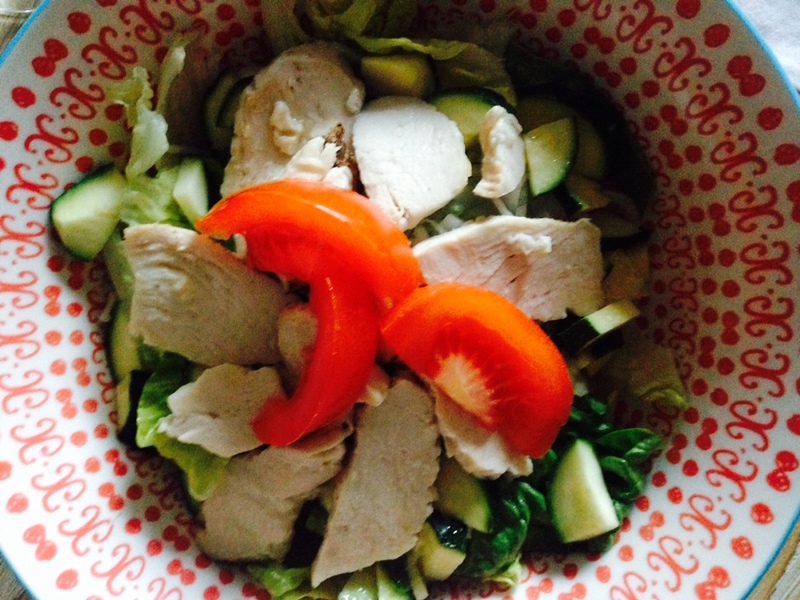 I thought it was so good and so healthy, that it was worthy of this compilation of dinners! So here you go, this is what he swears to me that he put in it. Chop all the ingredients to the minimum and mix in a bowl until you have a paste, wash the mushrooms, fill them with the mixture and cook in the oven for about 15 minutes in 160C. Use this time to assemble the salad and dress it. 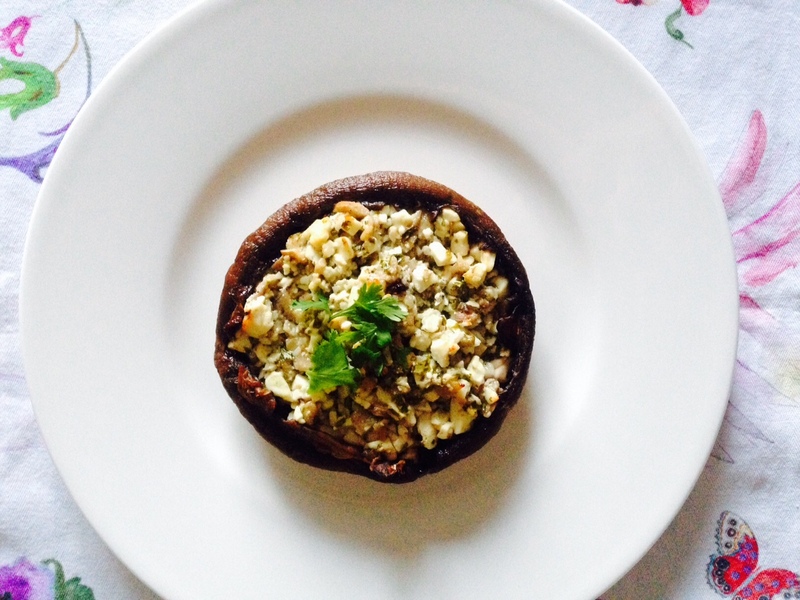 Garnish the mushroom with a parsley leaf for decoration. 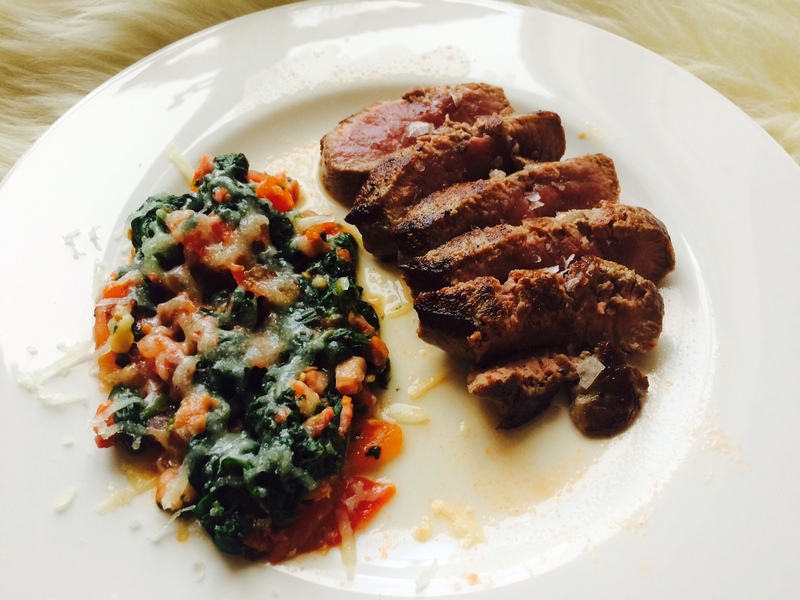 This is a really easy way of using leftovers, when preparing some spinach from my previous post Almost Creamed Spinach, just cook some extra and keep it in the fridge to use the following nights! For this recipe, just pan fry in a really hot pan a 350 gr lamb fillet, then slice in half and then each half in smaller pieces (around 1 cm thick). Reheat the spinach and sprinkle some grated cheese on top. Another easy way to get slimmer while you sleep! Roast the whole Sea bass in the over for about 12 minutes with some sliced onion, clean the fish to get 2 more o less clean fillets and split the onion in two dishes. 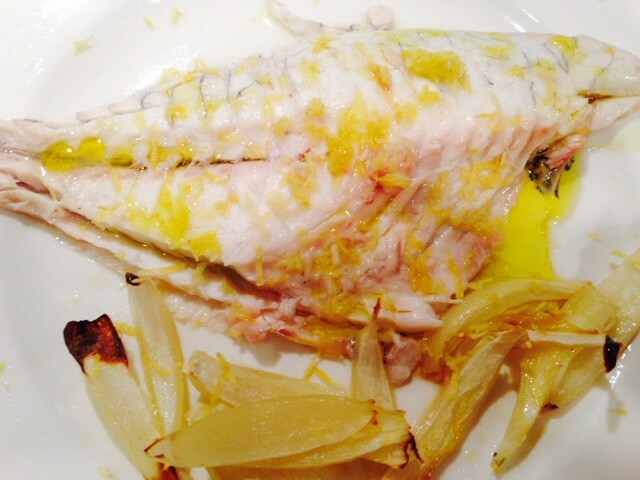 This is done with nothing added to the fish (not even salt) since you remove the skin after cooking. 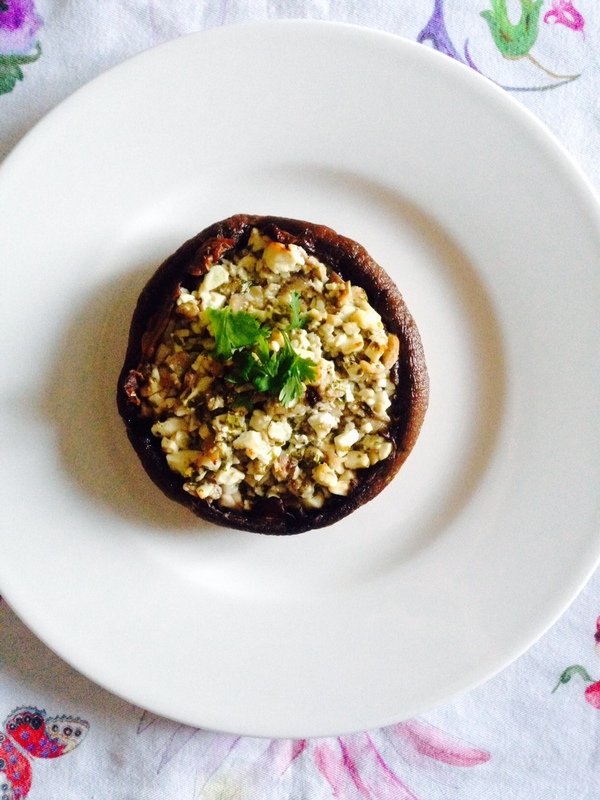 While it cooks, clean the mushrooms and peel the garlic and mash it with some olive oil and water. 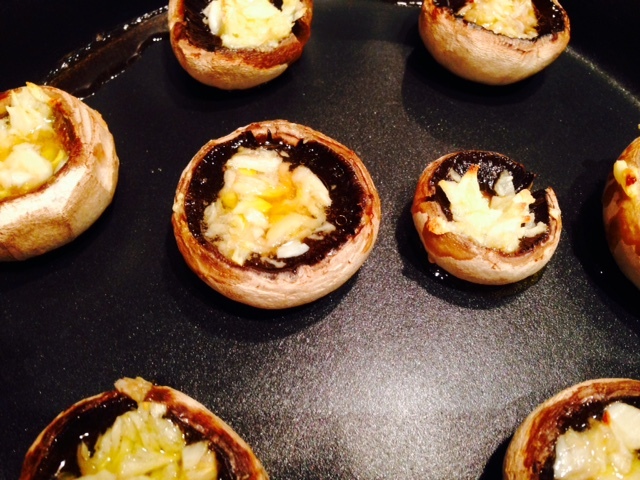 Fill the mushrooms with the mixture and a bit of salt and put in the oven for 10 minutes. Then dress the fish by grating the zest of half a lemon on top of the filets, sprinkle with salt and a dash of extra virgin olive oil (Picual or Arbequina variety). Then take the mushrooms out and serve together. 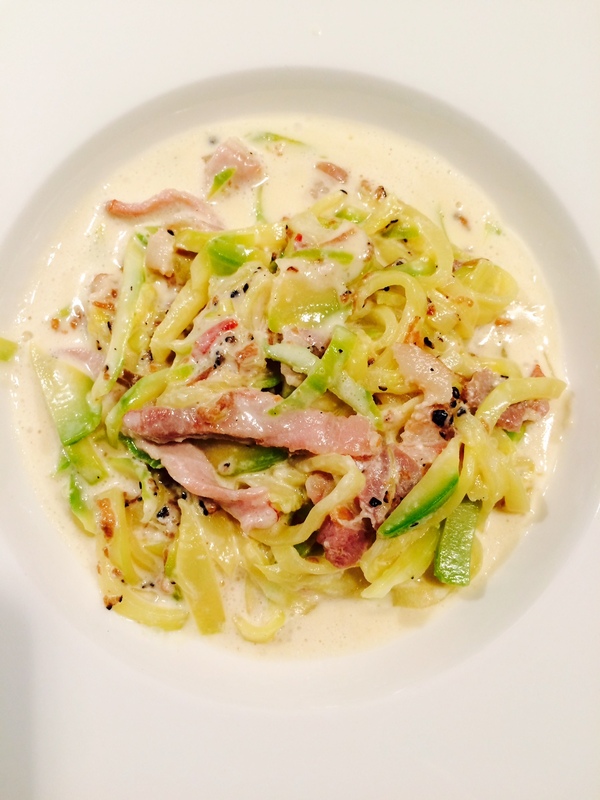 This week I wont be sharing specific recipes, more a collection of dinner recipes that have something in common. They are all dead easy, drop dead delicious and perfect for bikini season. All of them are low in fat, carb free and gluten free, but most of all, they will keep you happy and satisfied and you wont have that awful feeling of empty stomach of feel like you are eating something similar to cardboard. Making butter and bread taste good is easy, but mastering the art of healthy eating, that is what will keep you slim and happy in the long term. You have seen the picture, nothing more to it. Pan fry the salmon in no oil at all. It doesn’t need it, the fish is oily enough as it is. Remove the skin and fry on that side too, that will melt away a great deal of fat. On a separate pan, melt the butter and add the sliced leek. Let cook for a few minutes, add salt (that makes the vegetable lose its water and cook faster) then add a bit of hot water (that makes the leek cook without having to add any more oil, and without the pan burning!) and when the water has evaporated, add the milk and let it evaporate too. Try and correct the salt. 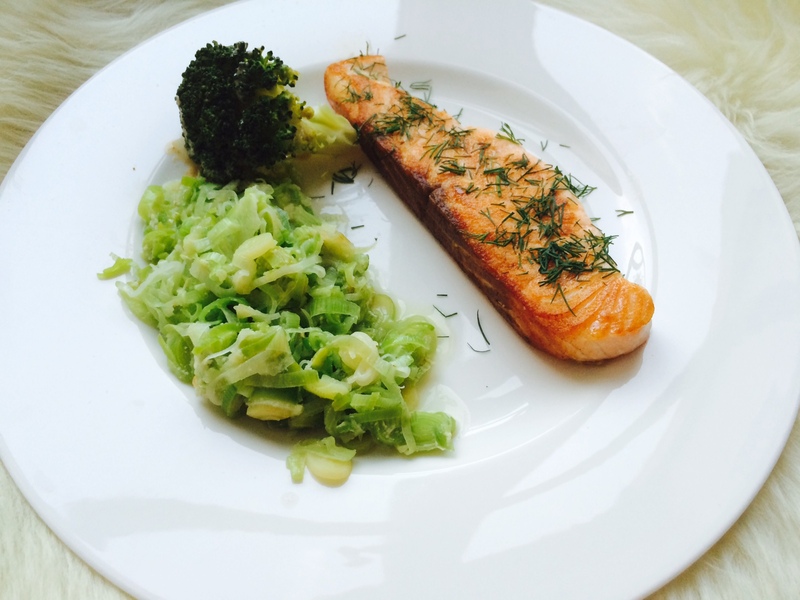 Sprinkle the salmon with fresh chopped dill and serve. You will be surprised at the great combination of these two ingredients. Takes about 15 minutes to prepare too..